I can’t stop smiling. 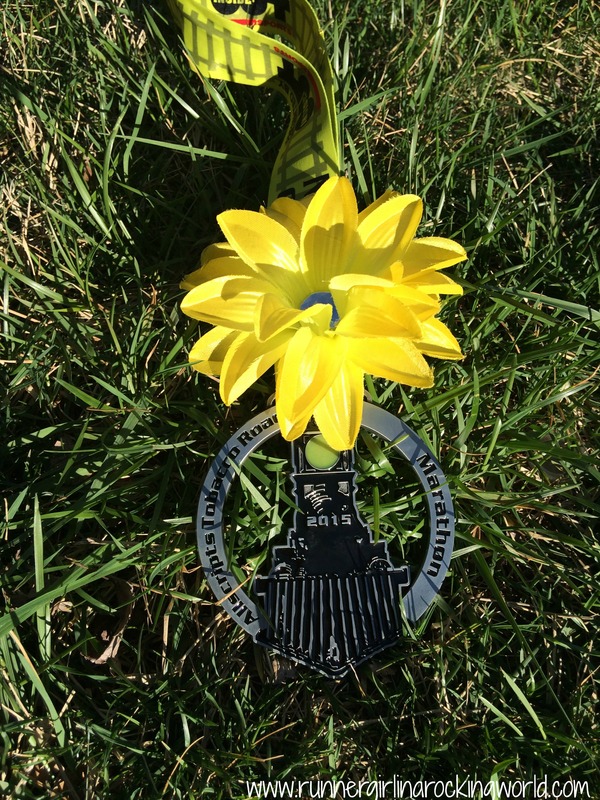 This was the race of all races for me and I had no idea that I’d learn so much from training and running another marathon. 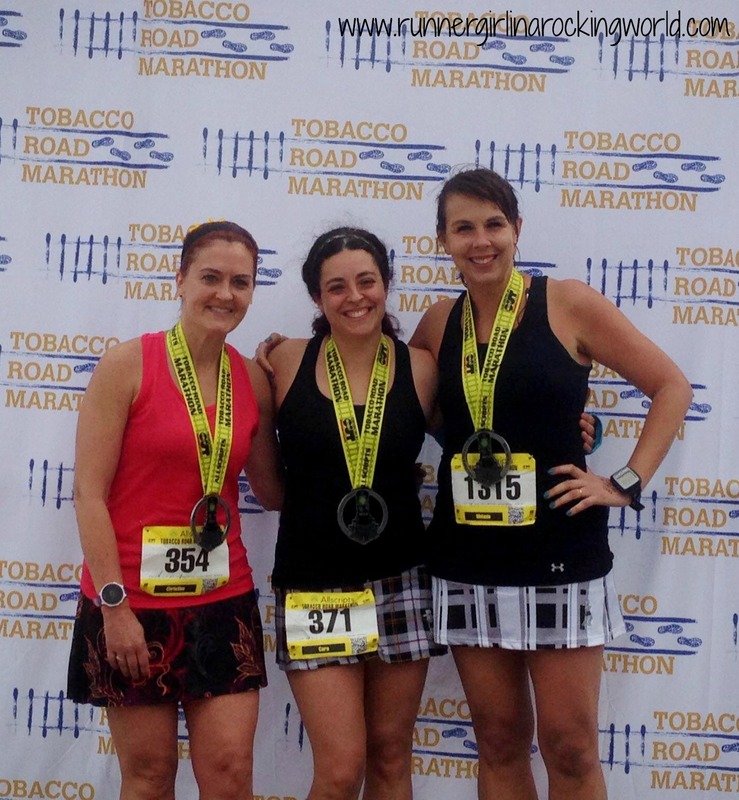 What started as Gasparilla training with a marathon kicker ended up being quite possibly one of my proudest moments as a runner! We arrived in Cary around 1:30pm and headed straight to the Expo to pick up our race packets. The Expo was held in the Embassy Suites, the host hotel. 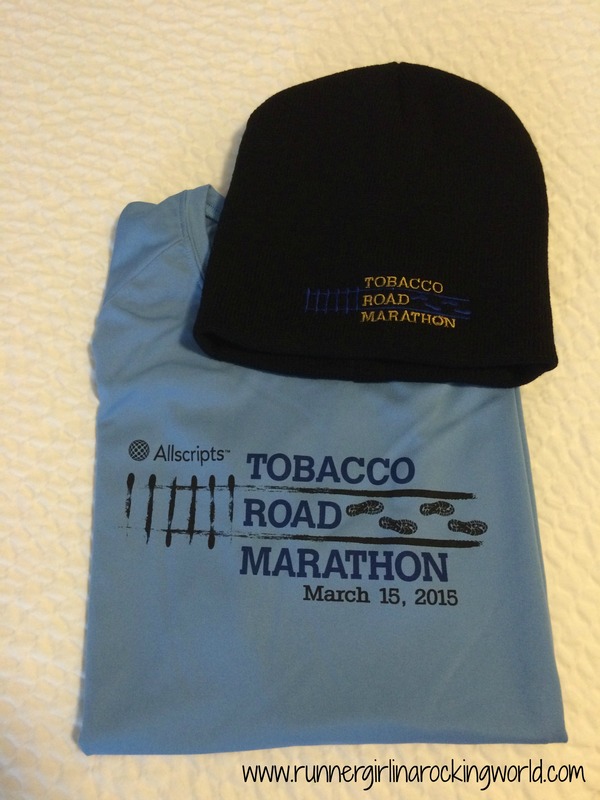 We grabbed our bibs and swag, which was a super nice tech tee and a sock hat for winter embroidered with the race logo. I love when races hand out other fun goodies besides just a tee. It was a smaller Expo but we took our time walking around, trying some delicious cinnamon bread samples from Great Harvest Bread Company and getting information and discounts for other events. We stopped by the Race 13.1 booth to say hi since we’ll be pacing several of their races this year. We each grabbed a really great long sleeve cotton tee with the race logo on it. I like buying other race merchandise to wear every day. We headed to eat lunch at Mellow Mushroom after and checked into our hotel a little before 4:30pm. I was starting to feel a bit nervous as the hours ticked down. We had a little of downtime before dinner so we decided to go shopping for just a bit. It was the perfect diversion for me! It kept my mind off of the race and it was a fairly entertaining trip looking through the racks at TJ Maxx. Around 6:30pm, we tried a nearby Mexican restaurant which was really good and was exactly what we needed for a perfect pre-race meal. Once back the hotel, we got our race outfits laid out, set alarms, put out our breakfast bars and pretty much hit the bed. We had to be at the parking lot by 5:30am in order to ensure we would be parked near the start. This meant we had a 3:30am wake-up call. Alarms went off right at 3:30am and I got up after hitting the snooze a few times. We all got ready and were out the door by 5:10am. It was a short drive to the start and we were in a huge line of traffic right at 5:30am. This race offers a parking pass option for $10 and you are literally parked right at the start. You can choose to park for free in a lot about 15 minutes from the start and ride a shuttle in. We paid for the parking pass and luckily made it into the first lot, which is closest to the start and port-a-potties. We were so happy! The only part of this that kind of stinks is that we had an hour and a half to sit in the car. We did hit the potties a few times and just rested in the warm car until 6:30am. We hit the potties one last time, cutting it super close and we heard the National Anthem while in the potty. It wasn’t the first race that happened. I did the same thing in Wrightsville two years ago. I thought I’d be stressed out heading towards the corrals but we just kind of weaved our way to the 4:45 pacer. We stood there for just a bit when I heard my college friend, Mindy!! She was running the full also and I was so happy to see her!! We talked for just a bit then she headed back over to her running buddy as the gun went off. We headed out the park, passing under a huge American Flag flying above us. It was really cool! We ran just 3/4 of mile making our way to the nearby road. I was running on using my heart rate so I stayed just at 145. The first 2-ish miles were pretty much rolling hills. I pushed on the downhills and stayed conservative on the uphills. My first few miles were really comfortable and we settled into a good pace as we hit the American Tobacco Trail. We’d be on trails for the next 21 miles before coming back out to the road. The first few miles on the trail were a slight downhill grade. With each mile, we were getting faster and faster. 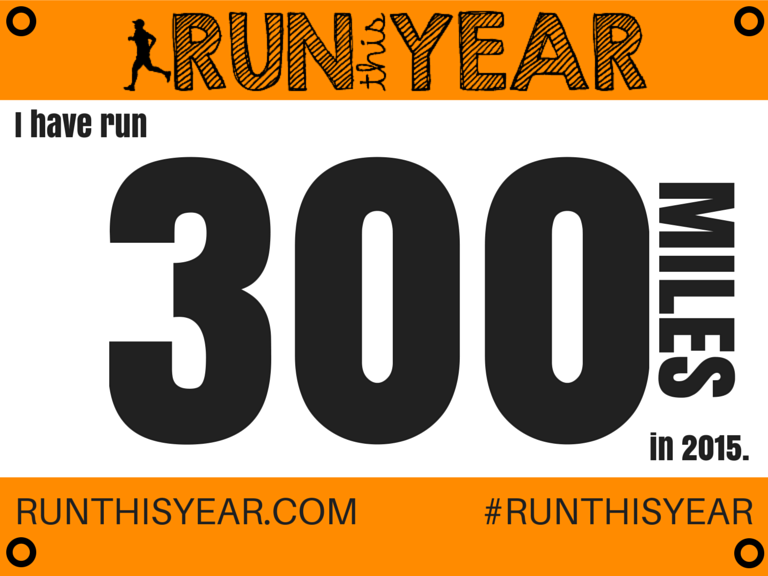 My heart rate was on target and I continued to keep that pace as long as it felt comfortable. At this point, we were right around the 4:45 pace group and it was making me a bit buggy. It was crowded right near him. The three of us were talking about how fast we were going but we also knew that it was mostly downhill at the beginning. It’s such a hard decision so early to either stay at a faster pace or to slow up a bit. I felt good by mile 5 (9:57 pace) and made my way around the pace group to get a bit more room. Christine and Cara stayed just a little bit behind me. I told them I was staying at that pace. I ran the next 7 miles at the same pace (ranging between 9:54-10:15). The turn around was at mile 8.3 and I saw them just before mile 9. We yelled out asking how we were feeling and everyone was doing well! I also started taking walk breaks every 4 miles when I’d stop for Gatorade. My heart rate was in check and just started going above 145 on uphills. I continued on at the same pace range from mile 13-19 (9:34 at mile 16 to 10:42 at mile 13). I passed the halfway point at 2:18 which shocked the heck out of me. About that time, I realized that I made the decision somewhere in the last few miles to keep pushing. This is the first marathon that I have run where I ran so evenly and ran at a pace that would have scared me in previous marathons for a fear of crapping out later in the higher miles. I had my heart rate training on my side and I could tell that I wasn’t pushing to the point of exhaustion. By mile 20, I had run a negative split. I didn’t hit a HR over 155 until mile 21. At mile 21.5 is where the real work started for me, there was stretch for 3 miles of a slow uphill grade, 150 feet over 3 miles. It was relentless. I was getting tired, but not exhausted. I ran the first 2 miles of this section at a conservative pace, slowing down as my HR would come up. By mile 23.5, I was having to mix in some walk breaks just to try to get my HR to come down, preserve my legs for the remaining 2 miles to the finish. Mile 24 was my slowest of the day (12:02). I regrouped once I was off of the trail and headed back on the road back to the finish. I was also watching my time. I somehow ended up really close to being able to PR this race?! I had an idea that I was close just by overall pace, but I also knew that my mileage was off from the markers. I was running long. I dug in the best I could for the last two miles, running .5, walking .1 and running the remaining .4. It was a plan that worked for me and I was comfortable pushing myself. I was so close, but right as the 26th mile clicked on my watch, I knew that I wouldn’t make it and it was okay. I ran the next .5 of a mile (yes, my watch was off .3) at a 9:15 pace, finishing strong. I ran through the finish line with the BIGGEST grin! I missed a PR by 42 seconds and I wasn’t bummed. I was super giddy. The marathon didn’t scare me anymore!! I finished with a 4:39:42. My best is at Richmond with a 4:39:00. It’s the second time now I’ve danced around 4:39. Last year in Wrightsville, I finished in 4:39:13. So if nothing else, I’m super consistent. Ha! Here’s the thing though, the other two times, I felt a lot worse coming through the finish line. In Richmond, my hip was really messed up and in Wrightsville, I felt like someone beat me with a bat. I felt pretty good and nothing hurt! Once everyone finished, we headed to the after race party, which was dying down. I have a huge pet peeve with races that shut down the after party long before the last runner comes through. It’s not the first event where this has happened and I feel like every runner should have their moment in the sun and enjoy a really good post-race shindig. We decided to head to one of our favorite burger chains, Big Daddy Burger Bar, for food and celebratory brews! We all had just accomplished something huge and it was time to celebrate that!! Both Cara and Christine had come out of marathon retirement and I’m just a nut who wanted to run another one. The race was well organized and all of the water stops were fully stocked with water and Gatorade. Several of the marathon water stops had snacks too, which although I didn’t eat anything, was a nice touch. The volunteers were awesome!! Because this race was on a trail, there was not as much crowd support, but the volunteers well made up for that. It was also super nice to see our friend, A Co, out there along the course too!! She rocks for coming out there and supporting us! The parking pass is worth the $10. Buy the parking pass. The tee and hat are nice! The medal is awesome!! Thanks to the Race 13.1 guys for being out there at the post race party with chocolate milk. It hit the spot! The post race party was over by the time we got there. It’s a shame really. The half marathoners get all the fun and the marathoners get a few cold pieces of pizza and leftover beer. It was really anti-climatic, but lucky for us, we made our own celebration! My other con is the use of the words “flat” in the course description. This race is not flat. Not at all. There was 941ft gained over the marathon. Sure there were no rolling hills along the trail, but there were plenty of sections of climbing. We knew it wasn’t “flat” when we signed up so I’m not complaining, just not sure that’s a word I’d use to describe the course accurately. Stay tuned for tomorrow’s post on what I learned! I’m so excited to share my thoughts with you. How was your weekend? Did you run a race too? How did it go? Share it with me! Check out other blogger’s posts at the Fit Dish Linkup and become part of the #fitfam by heading over to Jill Conyers at JillConyers.com, & Jessica Joy at TheFitSwitch.org. Congratulations on your finish time and having such a great race! It rocks that you finished in the same time as before, too. I had a few friends do this race and while none of them got the times they wanted (we live and train in Charleston SC so we are used to FLAT) everyone seemed to enjoy it. It’s really sad the finish line party was packing up when you finished! You had a good finish time and certainly not slow for a marathon, I hate to see races pack up that quickly. They should have ordered more food for you guys. I have seen races where the half marathoners basically loaded up so maybe that’s what happened but it’s not like you finished just before the cut off time and the party was packing up? Surely a lot of people were still out there at 4:39. Hope you have a great recovery! Great, great job on the race and awesome finish time! Looks like your heart rate training paid off big time. That is really bad tho, about the finish line treats being all gone. I’ve been at races where that happened before, the shorter race runners got everything and there was nothing left for those of us who went the distance. Bad, bad, bad. BTW, the sponsor of the race, Allscripts, is the company that makes our EMR (electronic medical record) that we use where I work. Kind of funny, because, none of us are fans of the product. Who knew that they sponsored a race? LOL! It really did help! I felt amazingly good. I’m kind of excited to see where it takes me this fall! Thank you!! I hated we never saw you all either. It was weird how they split us like that on the course at mile 3. Usually the half and full are together longer. Super excited about your PR!! That is awesome!! Ahhh, you are making me miss NC! I never got to do this run when I lived there and so regret it. Sorry you missed the after-party. That is kind of sucky. You would think that the marathoners would need it more and someone would be there. I know!! It was just a weird vibe at the end of the race. Gasparilla was too busy and crowded; this one was empty. Gotta find one that is a good in between! It was a good race regardless and maybe you can travel back to run it! Congrats! I love reading about your last 6 miles. Way to finish strong. WOW. I have only run a half, and can commend you enough for what you did. And, I love the HUGE grain on your face at the finish. You are making me want to run a marathon too. AHHhh. lol. Well, it is on my life’s bucket list, but I am not sure when. Not too anxious quite yet. Hooray for consistency, and congrats on finishing another marathon! :D! (I’m so sorry about that elevation. o_o “Flat” is full of lies.) The only race I’ve ever run = a half marathon, and nice volunteers definitely made it a much more awesome experience! Great finish Melanie! I’ve learned that flat is a very relative term ha! I’m looking forward to reading about what you learned. 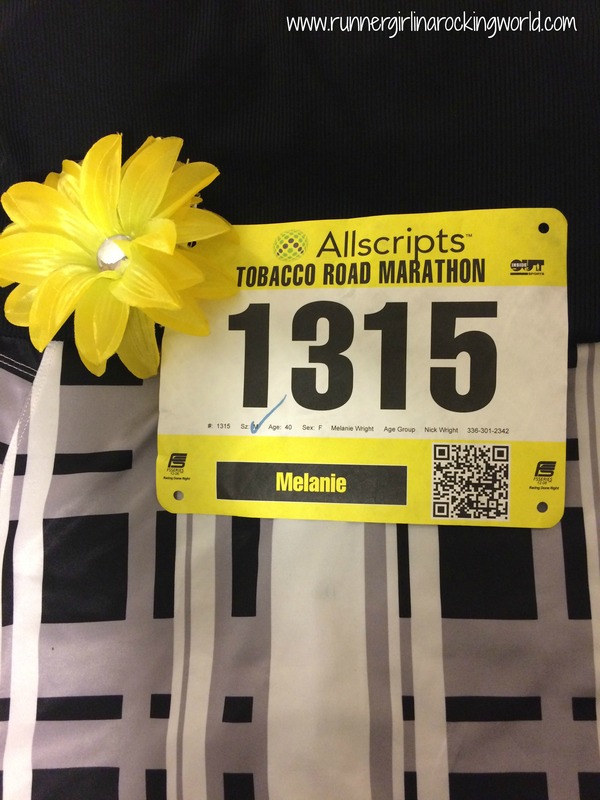 What a great race review Melanie! and congrats on the super finish! I would have been bummed to about the finish! Everyone should have a good time! Thank you!! Yes, it was kind of a bummer. There were still plenty of folks out there running too! Maybe so! lol I’d do great at a “predict your finish time” race. Ha!